When we think of corporate signage, we think integrated marketing displays that offer personality and promise. Integrated marketing displays promote brand recognition, brand loyalty, and trust in service. Despite many companies focusing on digital marketing, there’s still a lot of clout in having adequate and effective corporate signage. Whether its an awning or an LED sign, visually captivating digital displays and signage are essential to an integrated marketing strategy. Corporate signage on your brick and mortar store or office serves as the physical face of your company and your brand. And, yes. The visual appeal of that sign makes a big difference. Every successful business owner knows that it takes more than a great product and an effective business strategy to establish brand recognition and increase revenue. For example, there is a manufacturing company that sells high-end custom product through distributors throughout the United States, Canada, and South America. They are known throughout their industry and markets. But if you ask anyone where the manufacturing happens and no one knows. Why? There is no local signage or advertising. Nestled in the heart of the Midwest right off of I-80 sits a gold mine of advertising opportunity that could potentially drive business and revenue. Brick and mortar signage offers 24/7 advertising 365 days per year. The average human sees an astounding number of advertisements per day. As a matter of fact, a study in 2007 stated that each individual takes in over 5,000 advertisements per day! That’s a lot of marketing. Recognition is key to establishing a brand. Signage with dynamic graphics, whether at your brick and mortar location or elsewhere, keeps your brand top-of-mind. This can drive organic consumers and referrals by previous customers up, resulting in positive ROI (Return on Investment). According to a survey conducted by FedEx, 76% of consumers in the United States enter a store based solely on signs with 68% admittedly purchasing a product or service as a result of seeing a sign. The Sign Research Foundation, asserts that ⅓ of consumers have entered a store they were unfamiliar with based solely on company signage. 54% of consumers admit to being unable to locate a business due to insufficient or ineffective signage. Over 50% of consumers in the same FedEx survey admit that poor signage can deter a purchase. And 60% will refrain from purchase if there is not adequate signage. Consumers make quality assumptions about a business or product based on advertisements and signage. It is the emotional connections between consumers and the brands they encounter that drive brand awareness and increase revenue. Accordingly, advertising works through emotional conditioning, essentially eliciting emotional responses between consumer and brands they see advertised. If a product or business advertisement prompts a positive emotional response in a consumer, that consumer is more likely to visit that business and purchase those products. However, if something in an advertisement provokes negative feelings, a consumer is far less likely to become a customer. This is referred to as affective conditioning, or eliciting feelings in response to stimuli such as advertising. Every brand element makes a difference when it comes to integrated marketing. That’s why it’s essential to have adequate and visually captivating signage at your brick and mortar location and throughout your respective consumer area. When it comes to advertising, it’s all about quantity, quality, consistency, and continuity of your brand and your brand message. A dynamic sign with a visually effective design can establish your brand and drive revenue. From portable displays to custom exhibits for events, trade shows or retail, or to draw attention to your storefront, we ensure your brand visually engages your audience and gets maximum exposure. 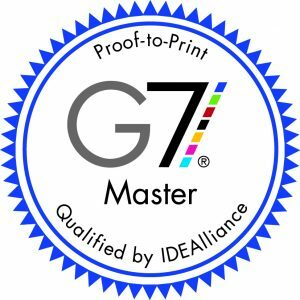 As a G7 Master IDEAlliance Certified printer, ExposYour’s graphics department produces consistently high-quality, accurate color graphics on state-of-the-art equipment. Our G7 Certified Master Printers on the graphics team ensure stellar quality. We provide a wide variety of corporate signage options from survey and design through installation. Click HERE to explore the process. Your company’s personality, offer and promise matter. We’re experts in designing & fabricating signage for your business needs. Let’s talk! Fill out our Contact Us form or call 1-800-724-9110 today.